Although natural gas and propane are similar, if you have recently converted your home over to propane, you will need to make some slight adjustments to your appliances. 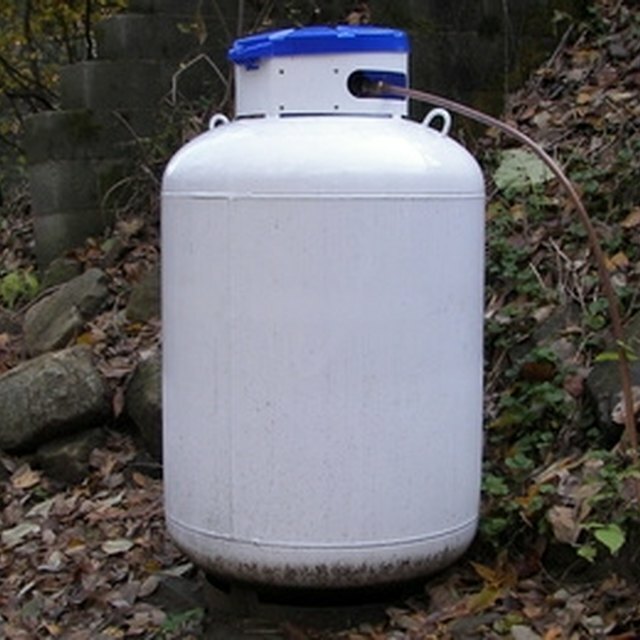 This is due to the fact that propane runs at around double the pressure of natural gas and a few things will need to be modified to accommodate this need. If you have an attached oven with your cooktop, it will also need to be converted over. Even though LP and natural gas are similar, you will need to convert your appliances. Turn off the main gas line. Do not attempt to do this conversion with the gas line on. If you are uncertain on how to do this or you cannot find the main line into your home, call your gas company and have a technician do a temporary shutoff for you. Change the cap on the pressure regulator. Look at the top of the cap. You should see the word "NAT" on the top. Use a coin to loosen it then flip the cap over. This side should say "LP" Replace the cap and tighten it with the coin. Confirm that "LP" is now visible on the cap. Tighten the valve orifice hood for each burner with a 1/2-inch wrench. You will see two pins -- one for NAT and one for LP. Use the wrench to turn the hood counter-clockwise until it rests against the LP pin. Do not over-tighten it -- turn it until you feel the movement stop. Convert the oven thermostat. Remove the thermostat knob. Locate the pilot control screw. It should be sitting at NAT or N.
Turn it clockwise until it rests on LP or LPG. Put the thermostat knob back on. Convert the oven burner orifice hood. Remove the broiler drawer and set it aside. Locate the conversion switch. It will be by the safety valve in the center of the oven at the bottom. Use the 1/2-inch wrench to turn the hood clockwise until it stops moving. Do not over-tighten the hood. Turn the gas line back on. Monitor the stove for any gas leaks. If you smell gas, turn off the main line and call your gas company.